Pixar animated adventure sequel featuring the voice talents of Ellen DeGeneres and Albert Brooks. 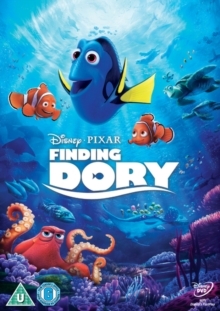 Six months after the events of 'Finding Nemo' (2003) the forgetful Pacific regal blue tang fish Dory (DeGeneres) unexpectedly remembers something about her childhood which leads her on a journey to find her family, accompanied by clownfish Marlin (Brooks) and his son Nemo (Hayden Rolence). The film also features the voices of Diane Keaton, Eugene Levy, Ty Burrell and Willem Dafoe. The film was nominated for the BAFTA for Best Animated Film.